It will save up to 48 million paper-based cards in a year. Electronic arrival cards for foreign visitors will be rolled out by 4 October, the Immigration & Checkpoints Authority (ICA). The agency noted that paper-based disembarkation and embarkation cards will be ditched eventually. 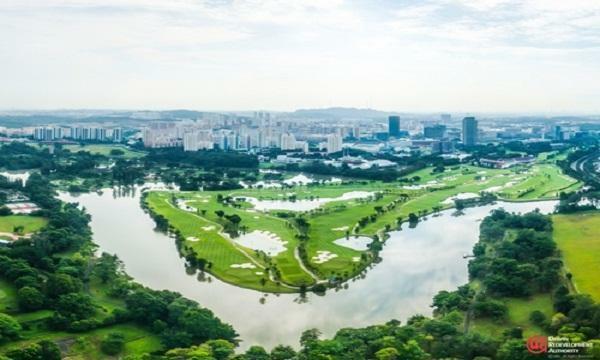 Travellers bound for Singapore may fill up the electronic arrival cards and submit them through the ICA website or a mobile app prior to their trip to Singapore. Upon arrival, they will only be required to show their passports for immigration clearance. ICA will trial the new scheme for the next three months which will be conducted in Woodlands and Tuas checkpoints, Changi Airport, and the four ferry terminals including Singapore Cruise Centre, Tanah Merah Ferry Terminal, Changi Point Ferry Terminal, and Changi Ferry Terminal. 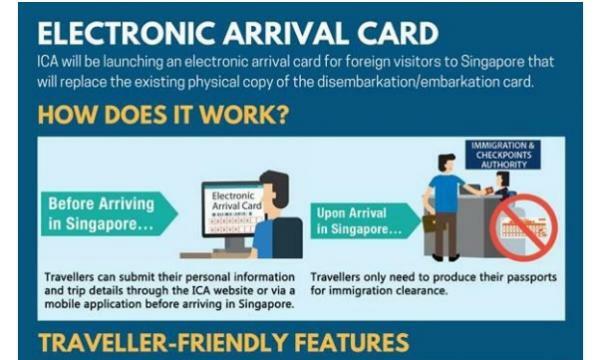 The new scheme will not be applicable to Singaporeans, permanent residents and long-term pass holders such as students and workers who are returning to Singapore, as they are not required to submit disembarkation or embarkation cards. Visitors who have yet to complete the paper-based cards may access the trial by approaching ICA officers. ICA will then use gathered feedback to finetune the system. “The electronic arrival card will enhance operational efficiency and is a significant step towards ICA’s vision of paperless immigration clearance, and save up to 48 million paper-based disembarkation/embarkation cards a year,” the agency said.